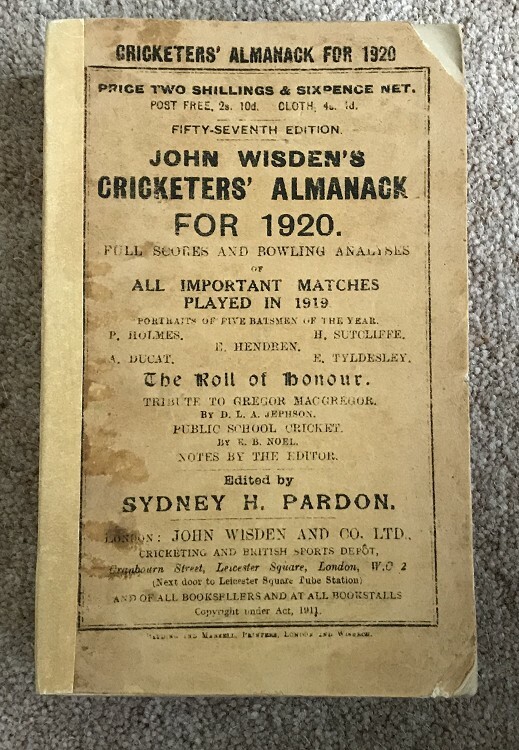 This lot is an Original 1920 Wisden Paperback with facsimile spine and rear cover. This is in Good condition, the rear cover is very well made as is the spine, the front original cover has a bit of wear and loss to the corners but still in decent shape. It has a read feel throughout and some thumbing but nice photoplate. Some marks to the front cover by the spine.Page 264-280 is bound in by just one of the strings not two.loss to last page as shown.